The Delhi High Court has reportedly issued directions on a petition filed by RTI Activist R.K. Jain, accusing her of failure to abide by a Central Information Commission directive. 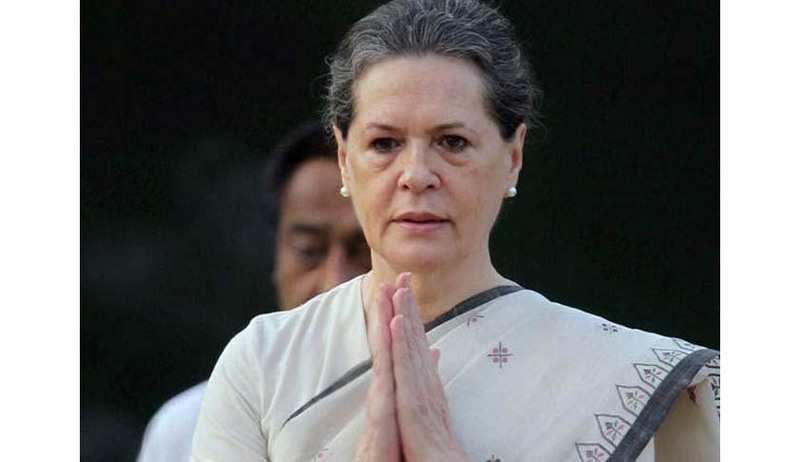 CIC has been directed to decide in six months a complaint against Sonia Gandhi that she hasn't implemented the transparency panel's directions making political parties answerable under the RTI Act. "In view of the statement made by the learned counsel for the respondent (CIC), the present petition is disposed of with the direction that the complaint filed by the petitioner be considered expeditiously and preferably within a period of six months," Justice Vibhu Bakhru noted after the CIC informed him that the Jain's plea is pending before it and will be taken up. The activist had earlier approached the Commission with his complaint against Gandhi, asserting that his RTI application dated February 7, 2014 had been returned by the party without furnishing the details that were demanded. He was however compelled to approach the High Court after the CIC allegedly did not register his complaint despite repeated pleas before it, he informed the court saying he aggrieved by the above "non-action" of the CIC. The petitioner contended that till date, no political party of secured a stay order against the decision of the Commission declaring these parties as public authorities. Hence, they must accept the procedures of processing the RTI application as given in the transparency law. However, his RTI plea, demanding to know the steps taken by Congress to implement the RTI Act and designated officials to respond to the RTI applications, was never taken delivery of and the envelope was returned to him. He then complained to the CIC, claiming that he was told over the phone by the party that no officers such as Central Public Information Officer or First Appellate Authority have been appointed. A full bench of the Commission, comprising then Chief Information Commission Satyananda Mishra and Information Commissioners M L Sharma and Annapurna Dixit, in its June 3, 2013 order, had declared Congress along with five other national parties-- BJP, CPI, CPI-M, NCP and BSP-- as public authorities making them answerable under the RTI Act. It had given six weeks to the six national parties to appoint the CPIOs and Appellate Authorities as authorised under RTI Act. Refusal to furnish the demanded information is deemed to be an offence under the RTI Act. It attracts a penalty of Rs 250 per day from the date information became due to the day it was furnished on the public information officer of the public authority.